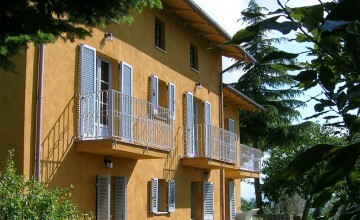 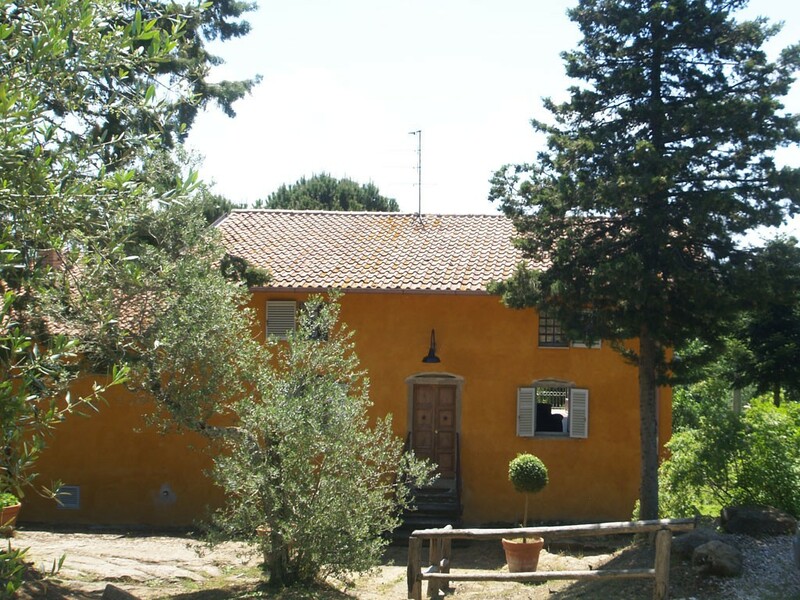 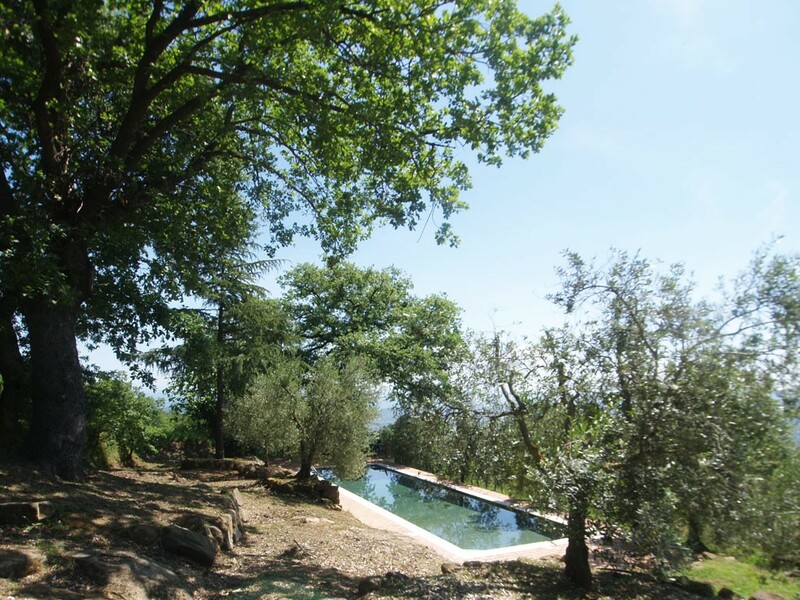 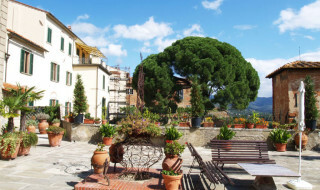 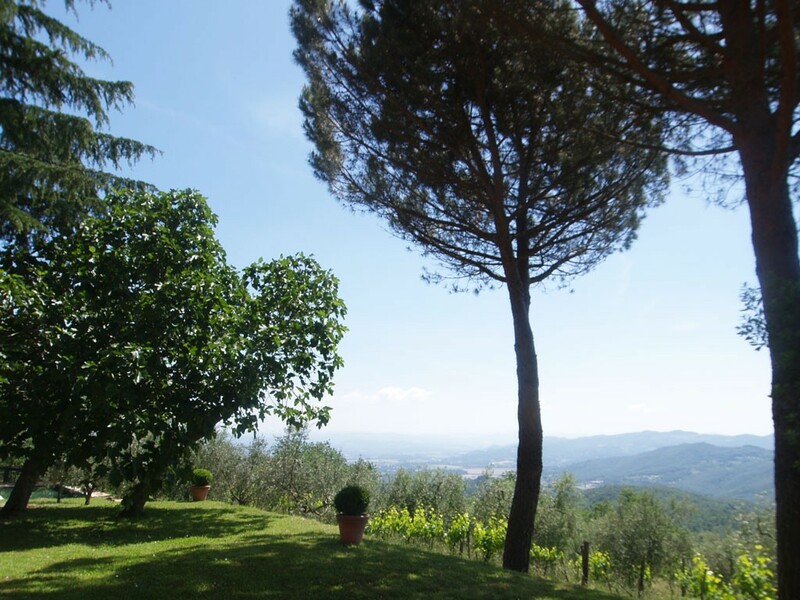 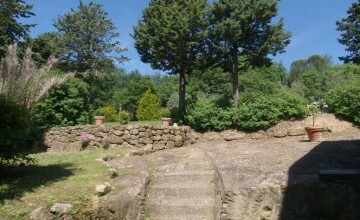 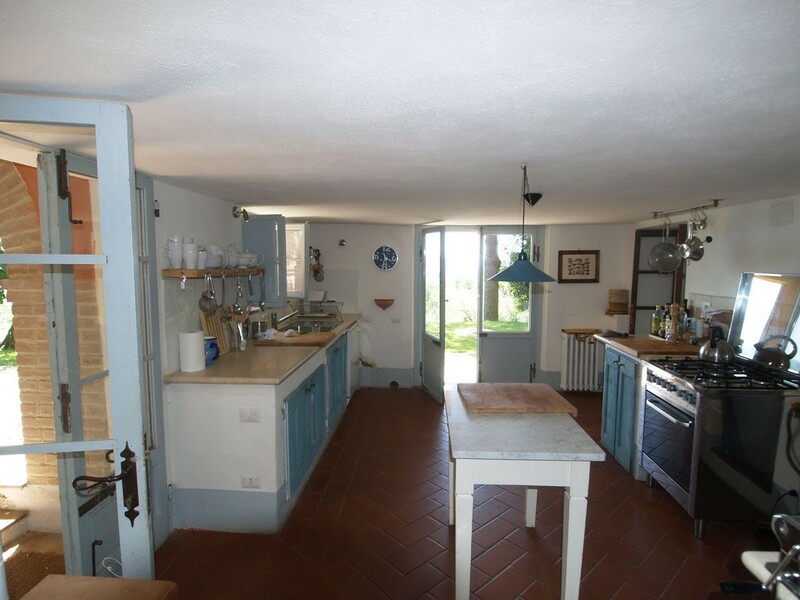 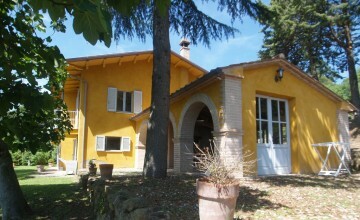 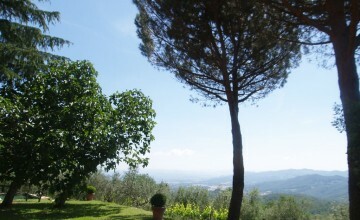 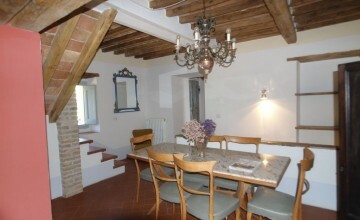 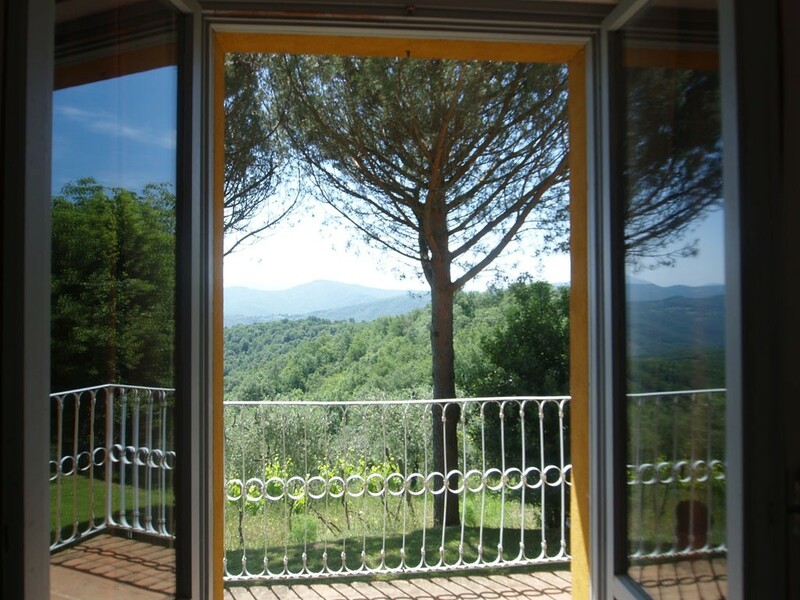 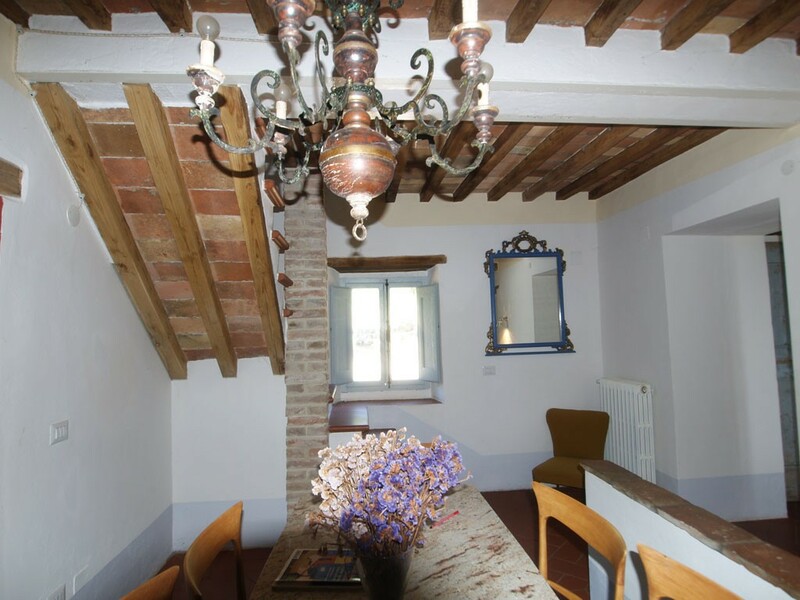 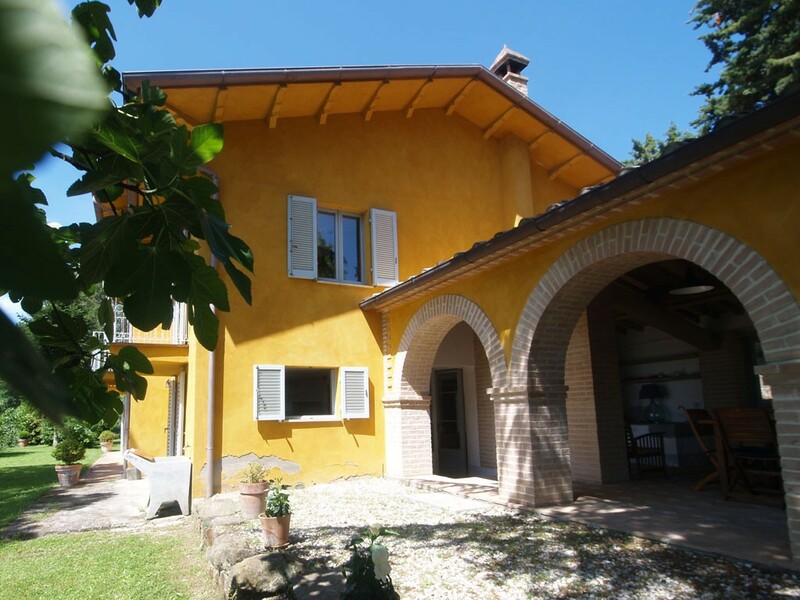 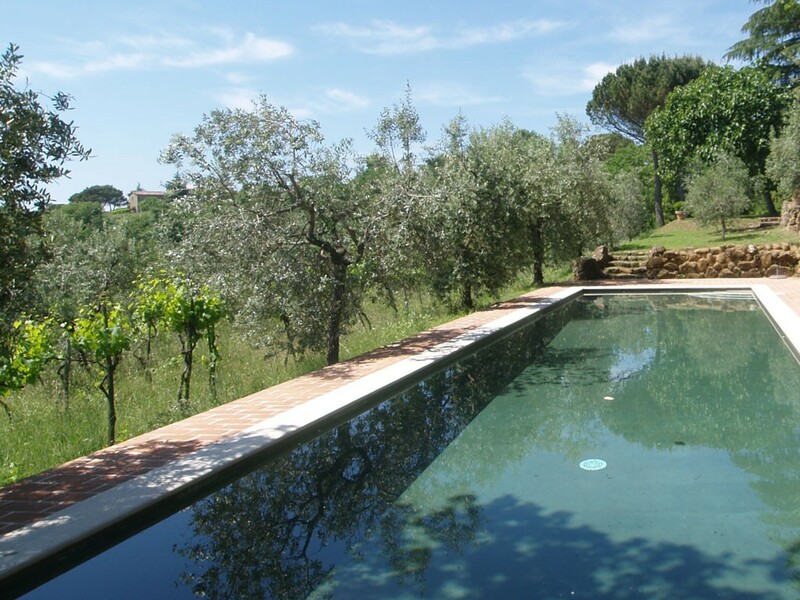 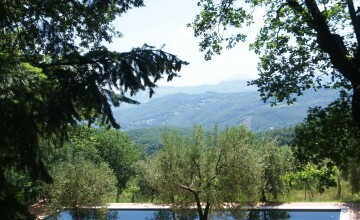 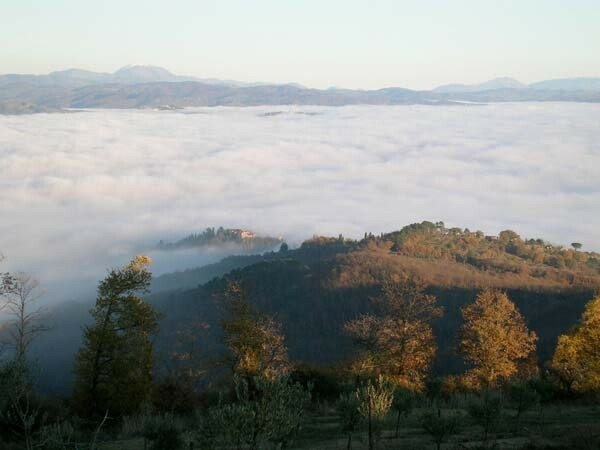 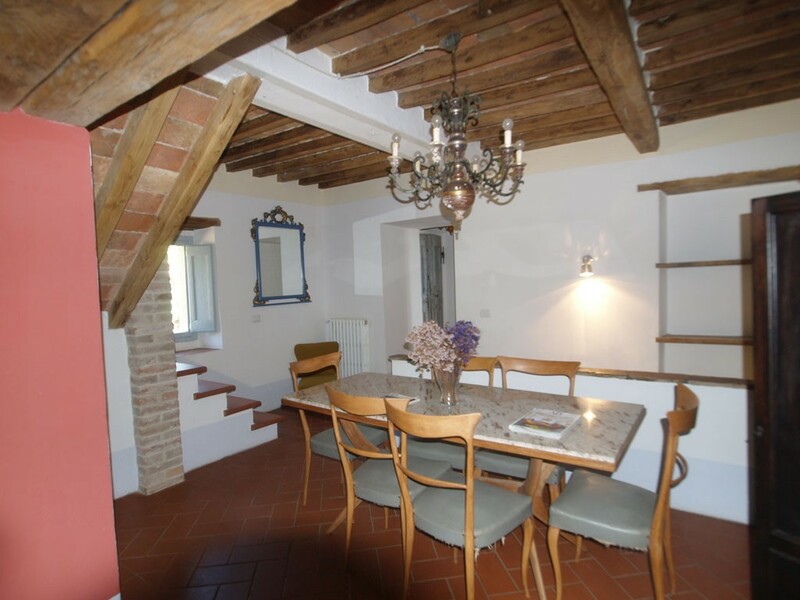 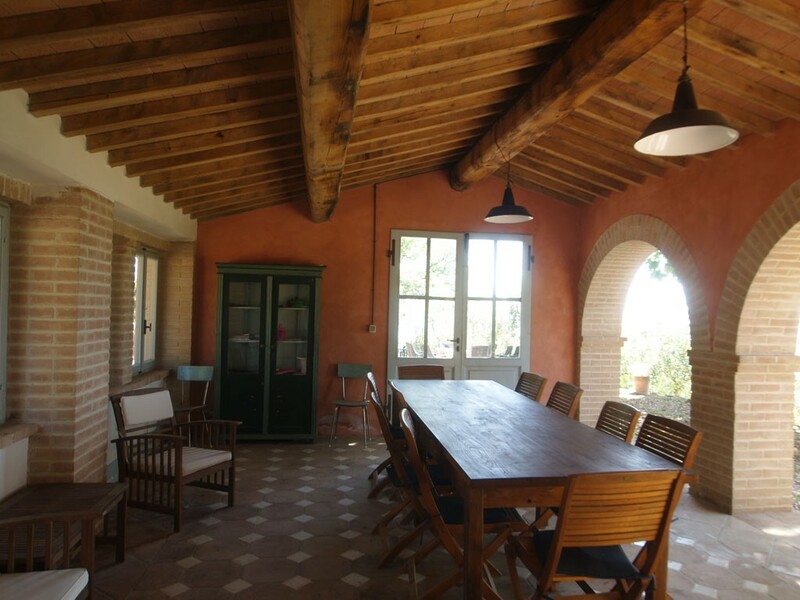 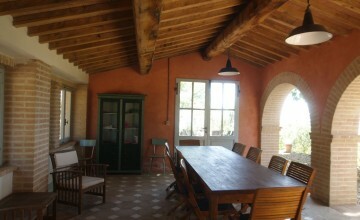 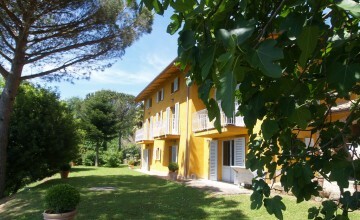 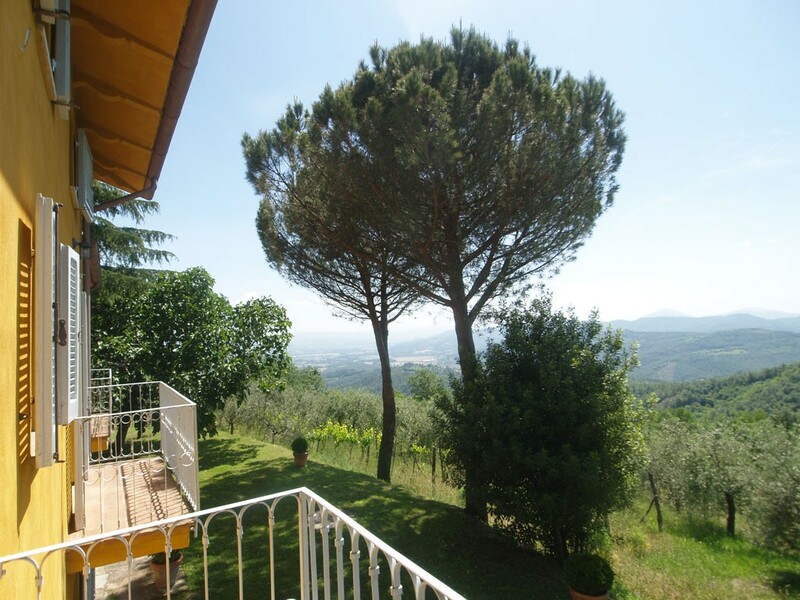 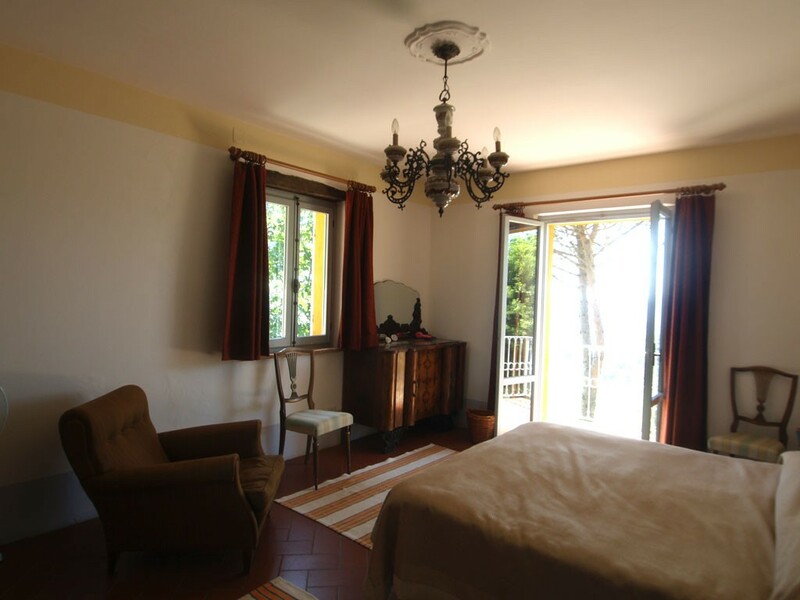 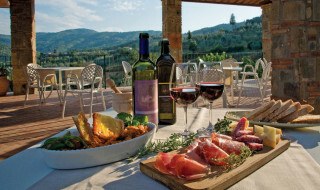 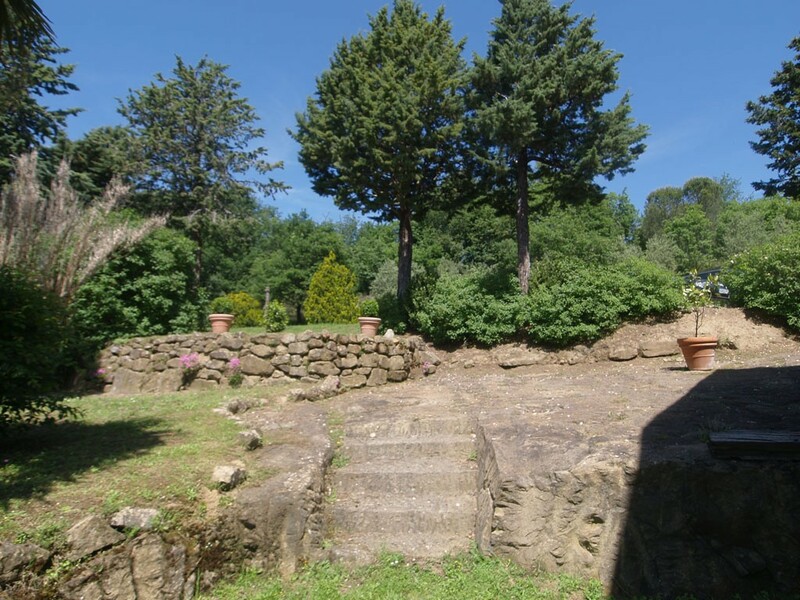 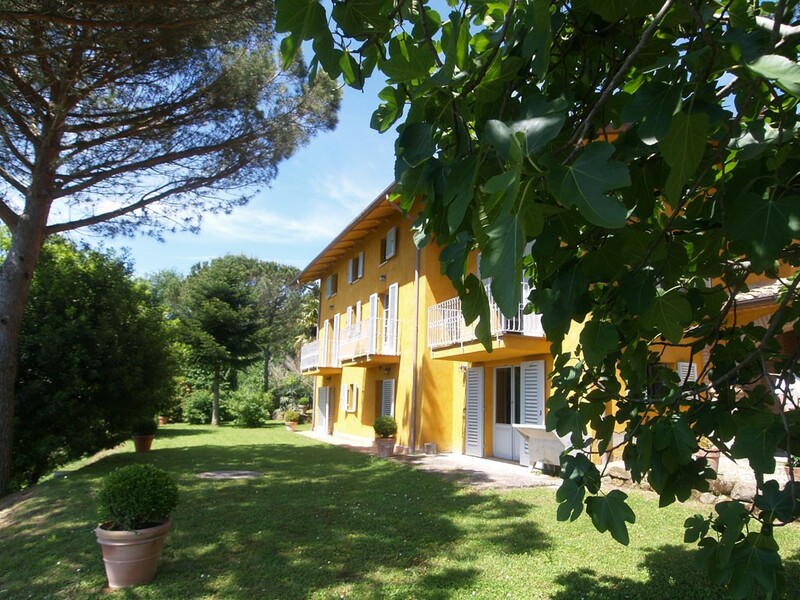 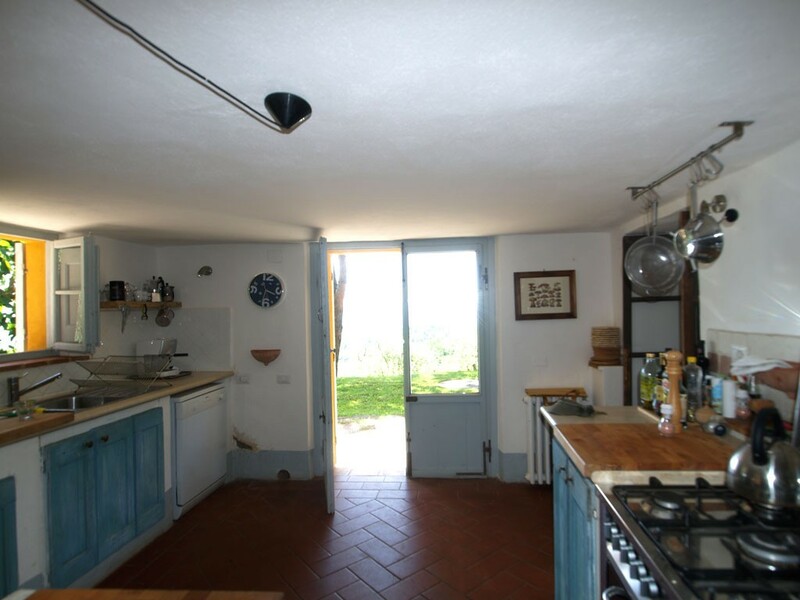 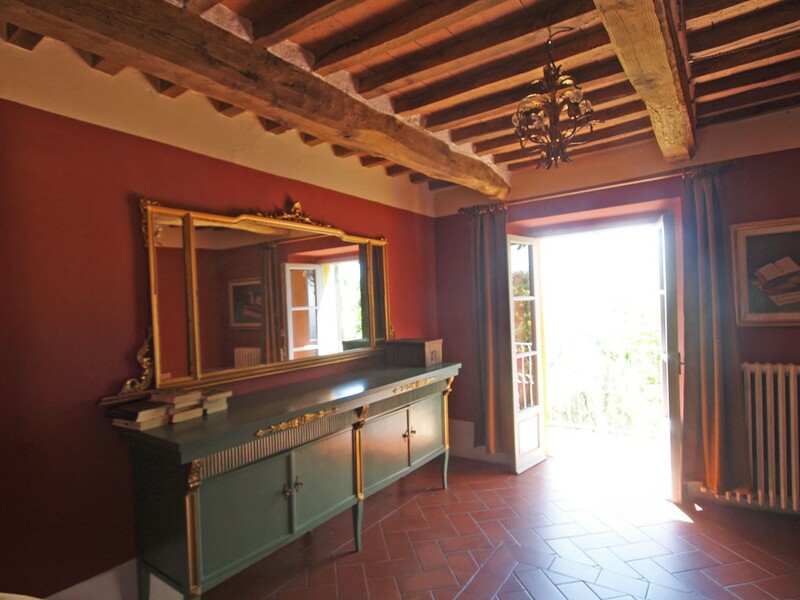 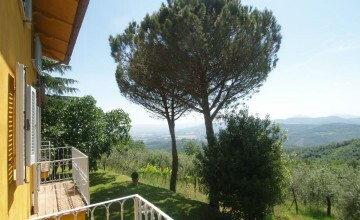 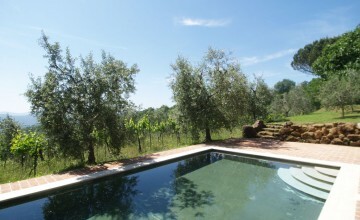 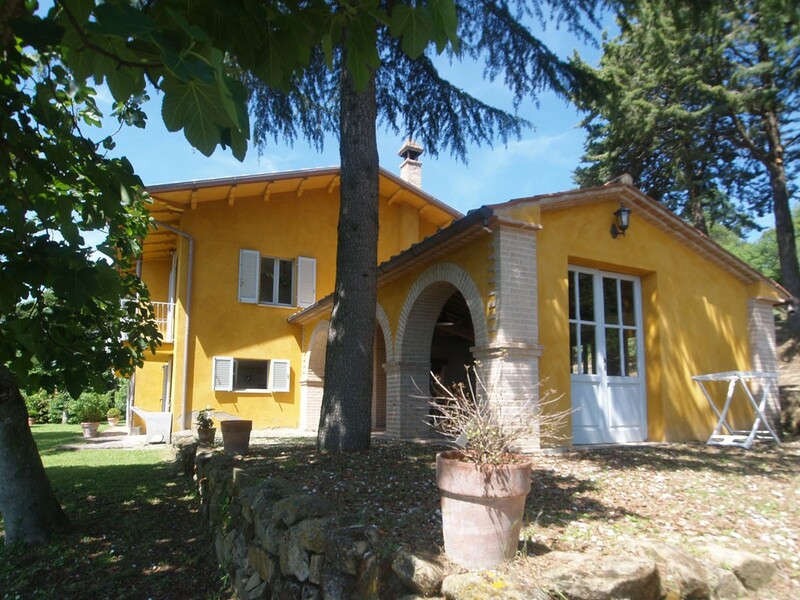 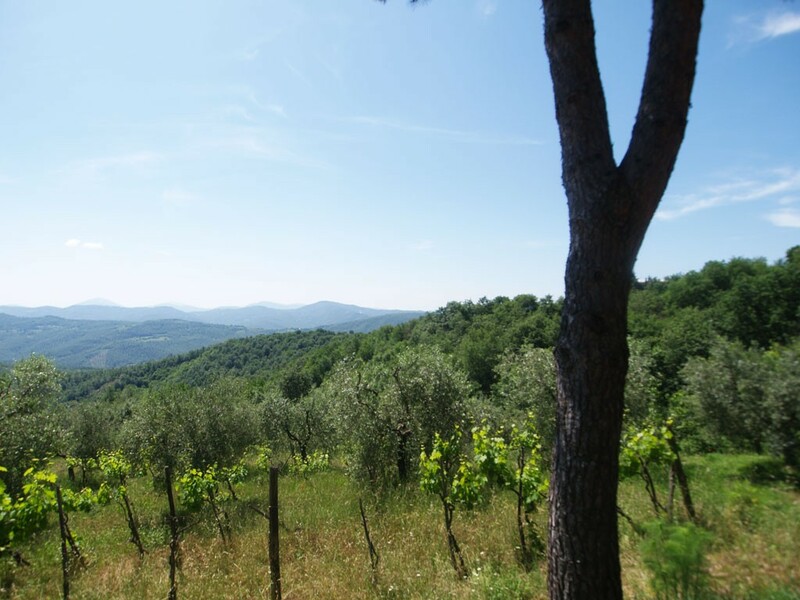 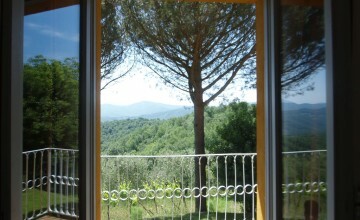 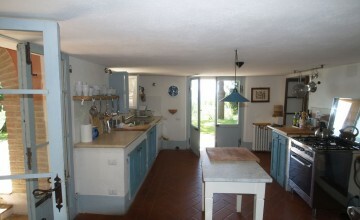 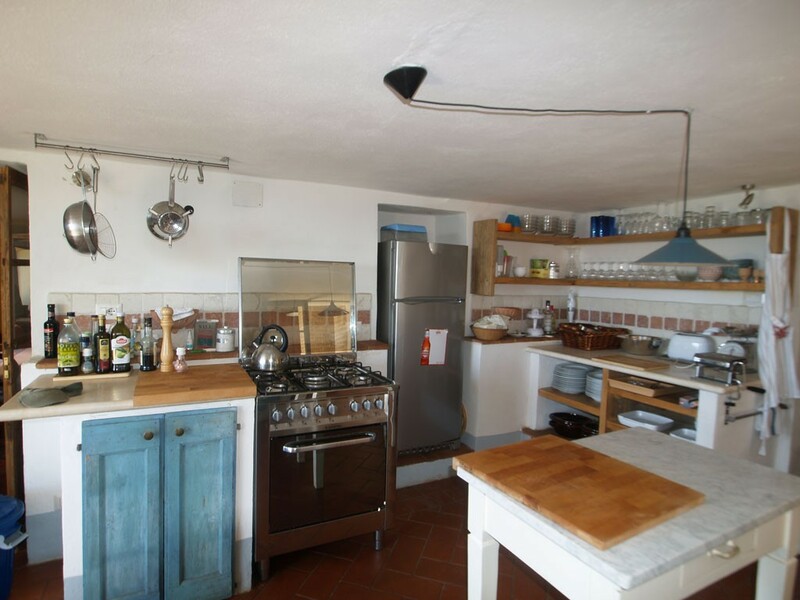 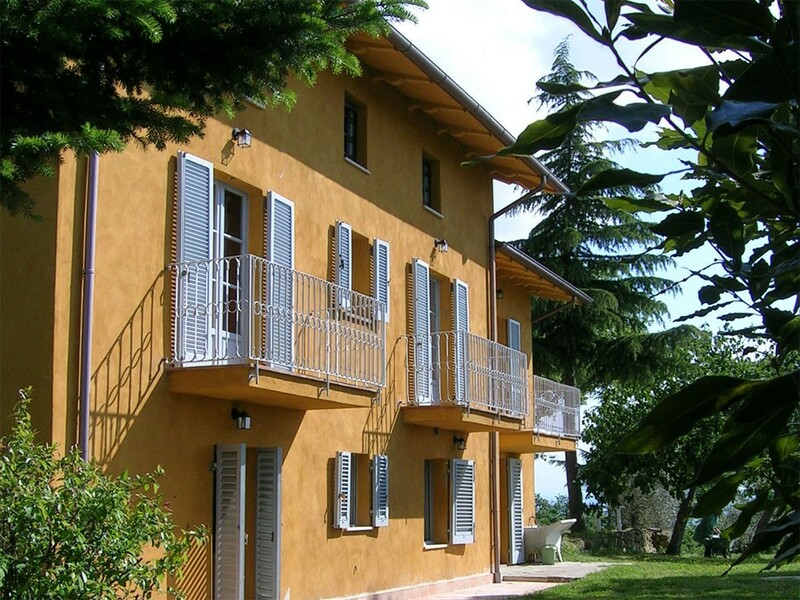 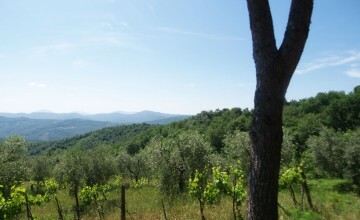 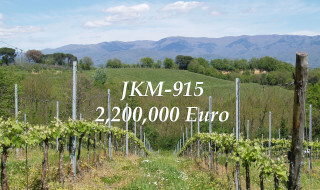 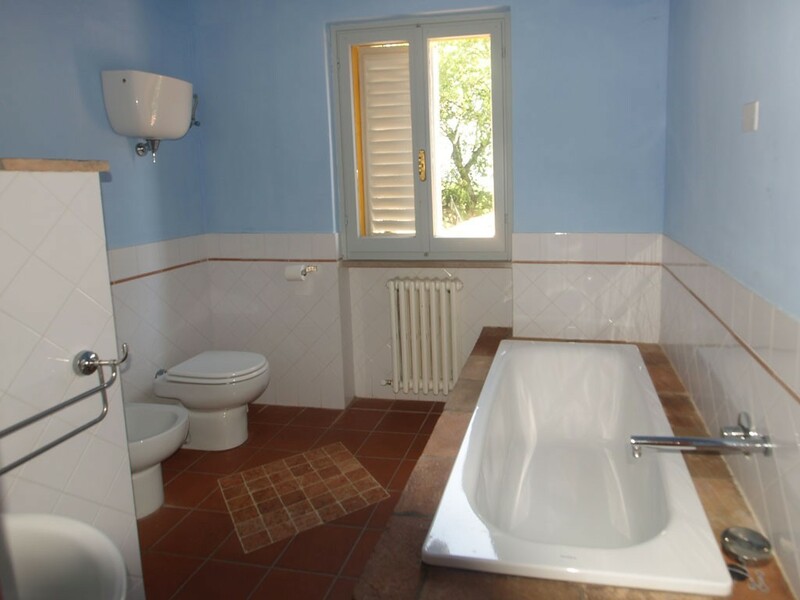 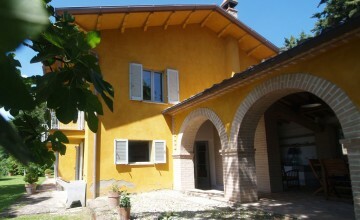 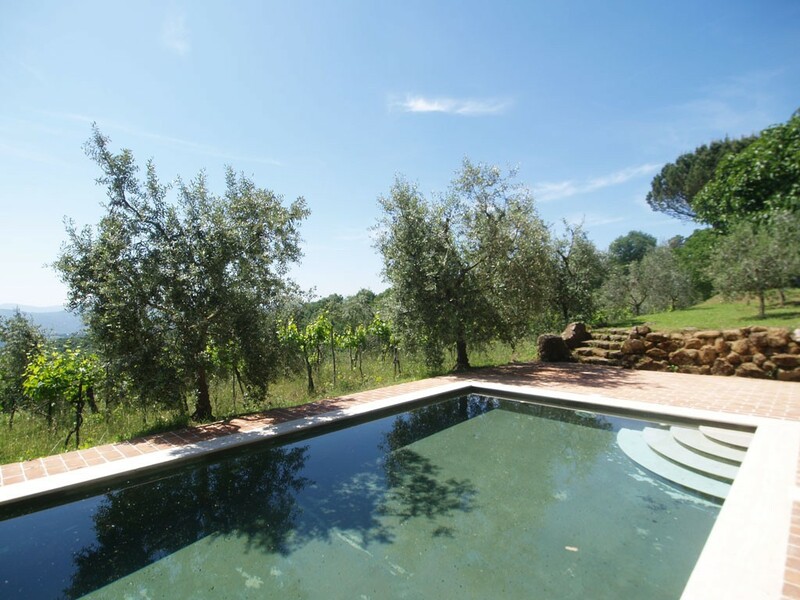 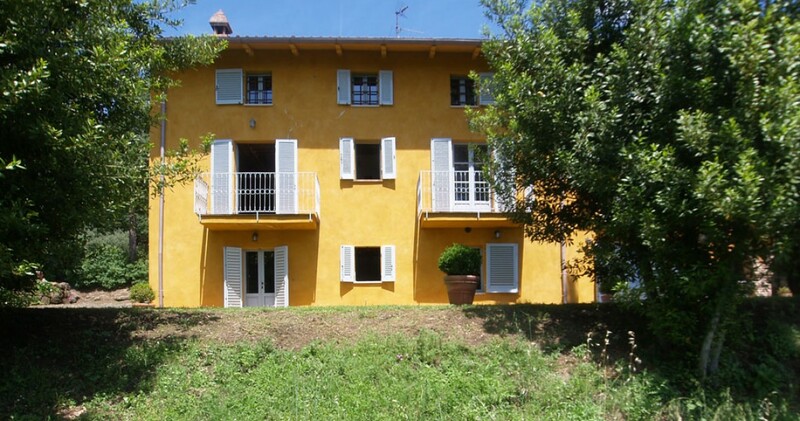 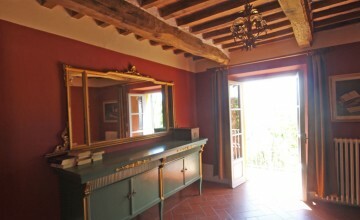 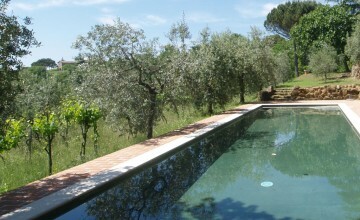 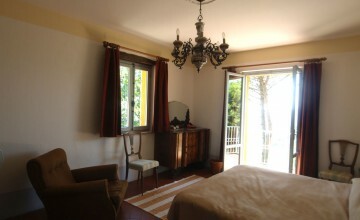 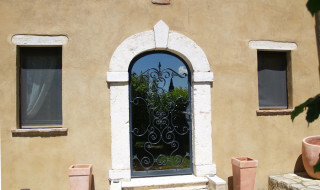 The property is located on a hill in a most panoramic position which offers fantastic views of the Umbrian countryside. 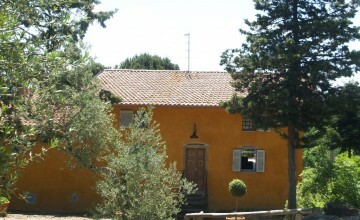 The recently restored house measures approx. 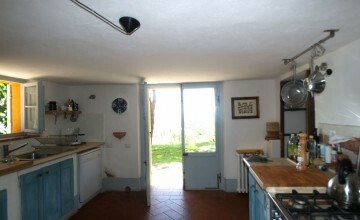 380 sq.m. 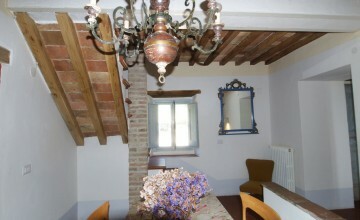 on three levels and features two sitting rooms with fire places, dining room, fully equipped kitchen in marble and stainless steel, pizza oven and fire place, five bedrooms, three bathrooms, small gym, laundry with bathroom, technical room and an old wine cellar excavated in the rock. 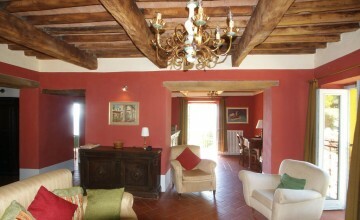 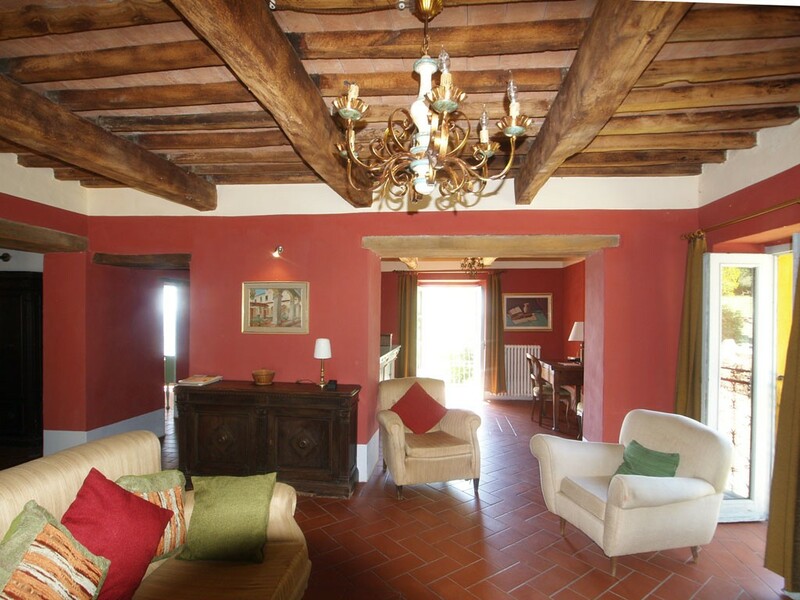 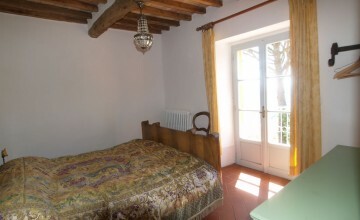 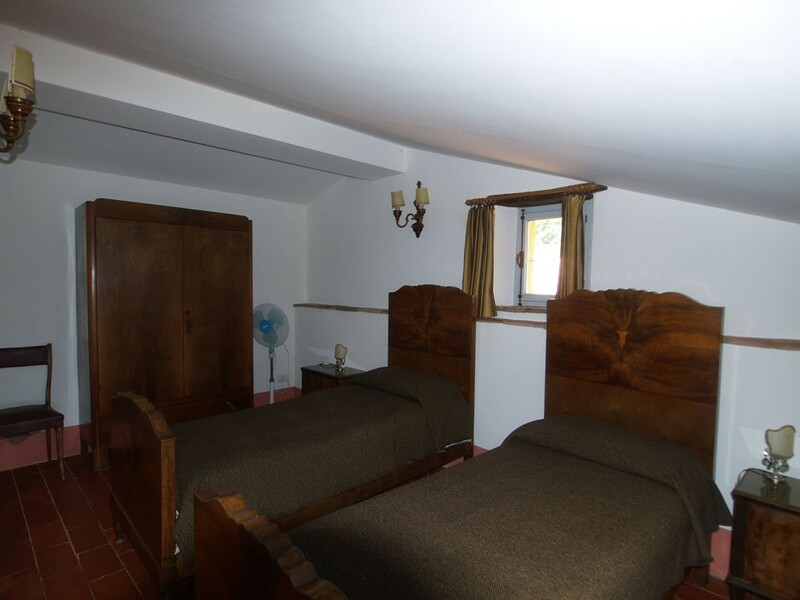 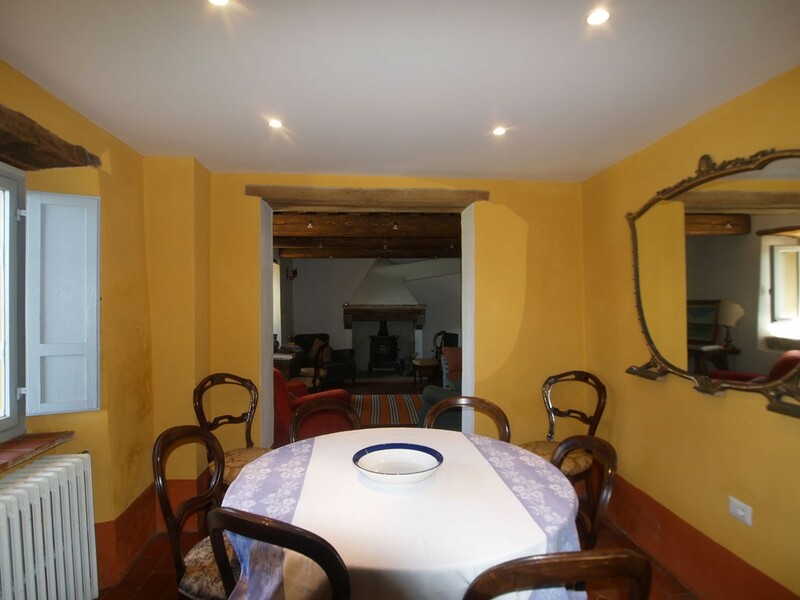 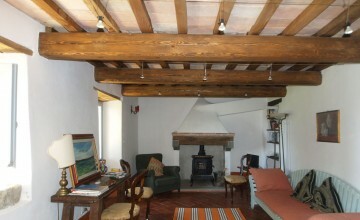 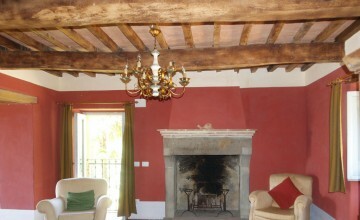 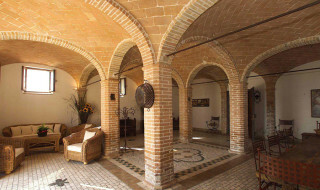 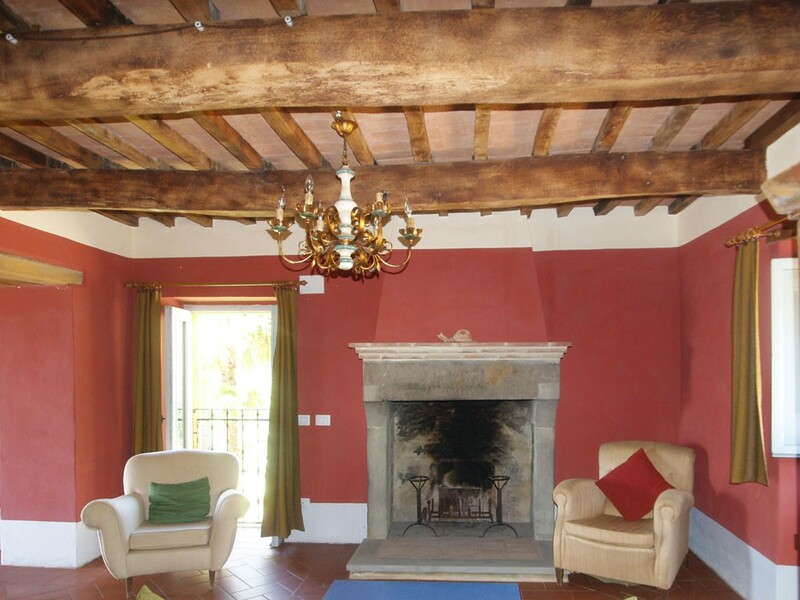 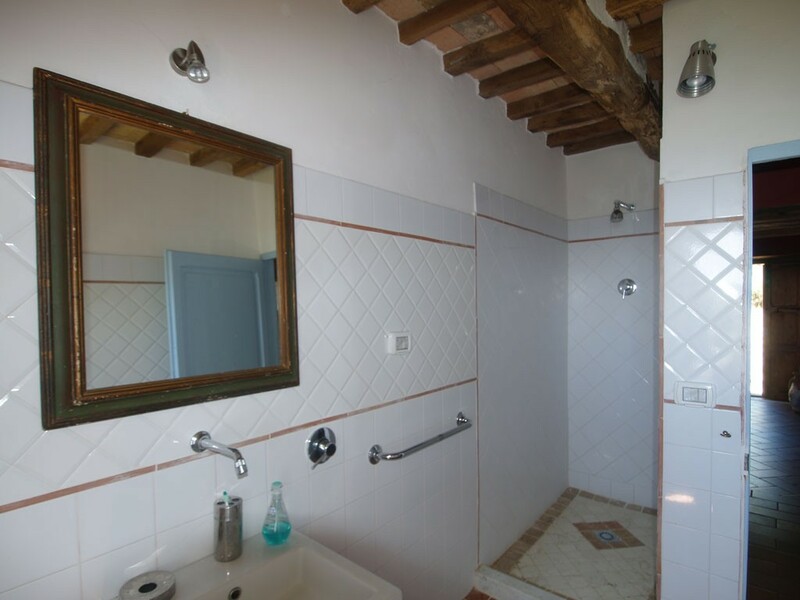 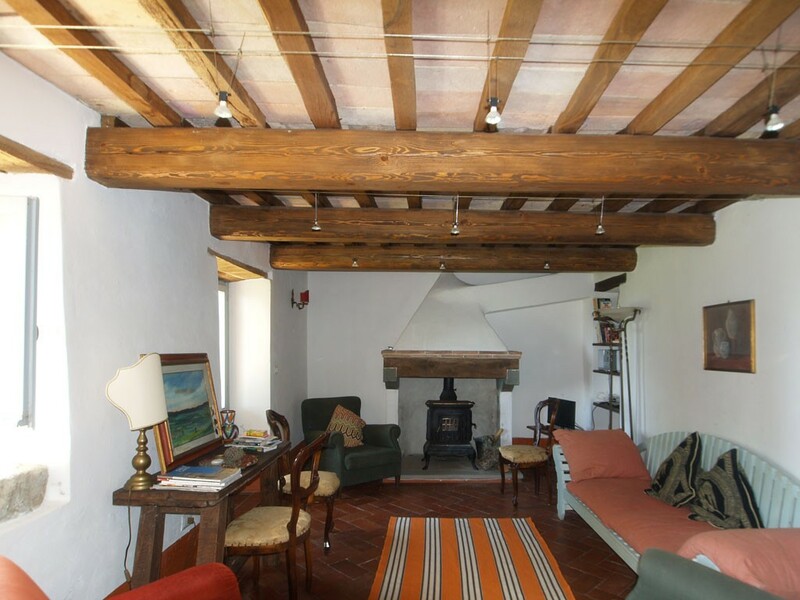 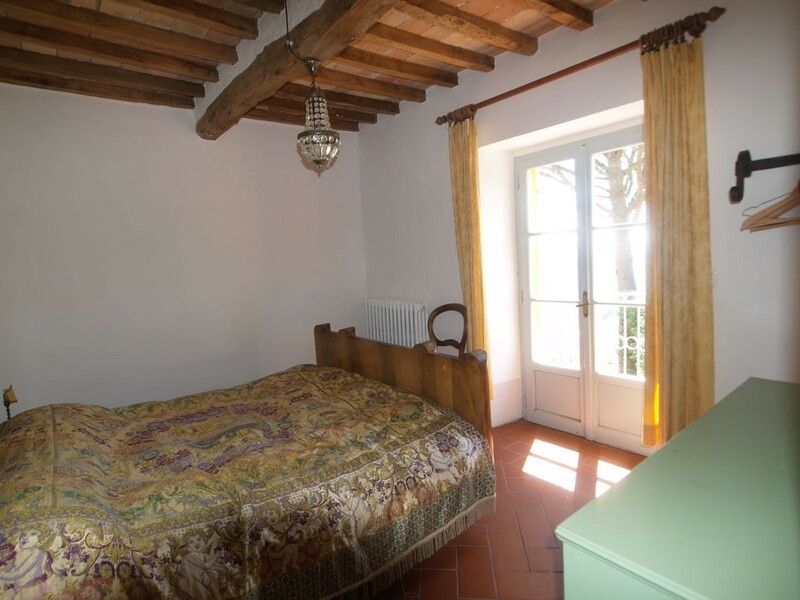 All rooms are large and feature original beamed ceilings and terracotta floors. 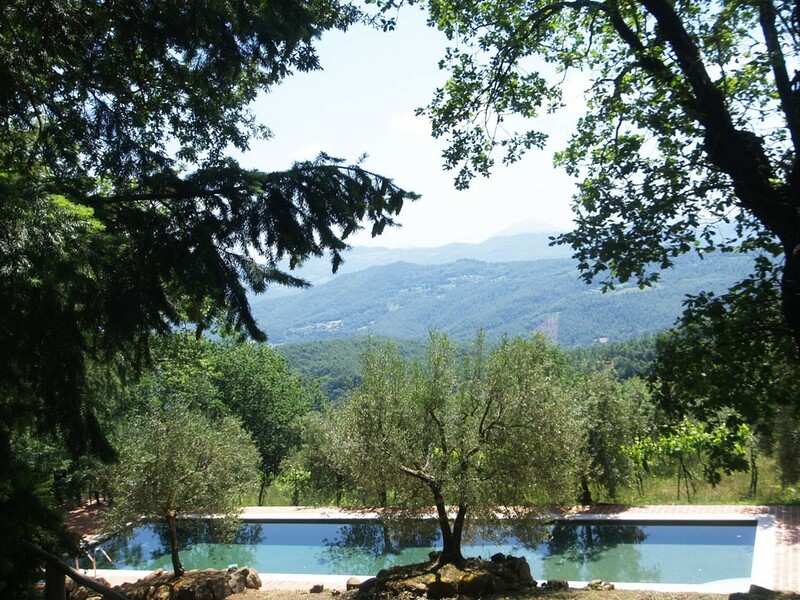 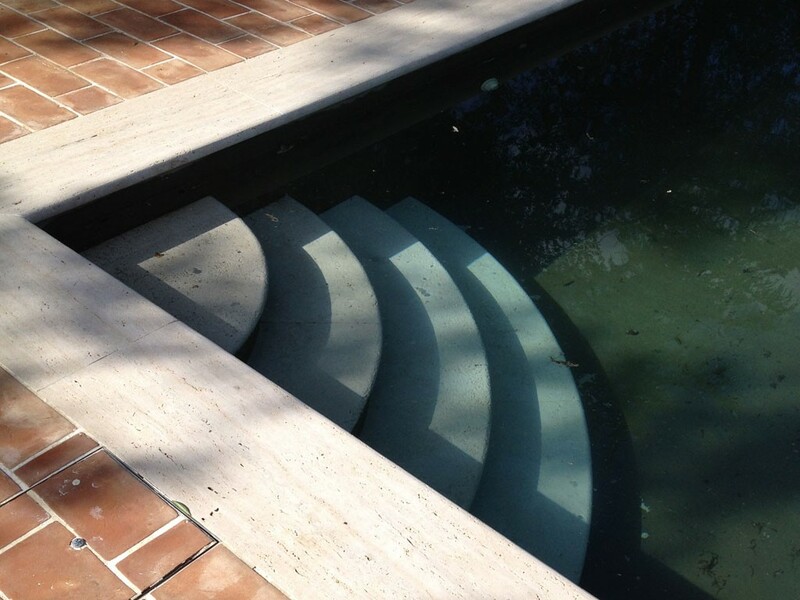 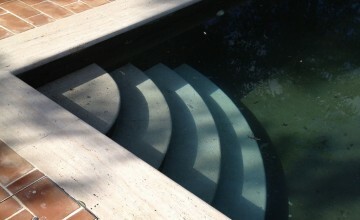 A nice portico leads towards the magnificent swimming pool – 16x4 mt, made in travertine marble. 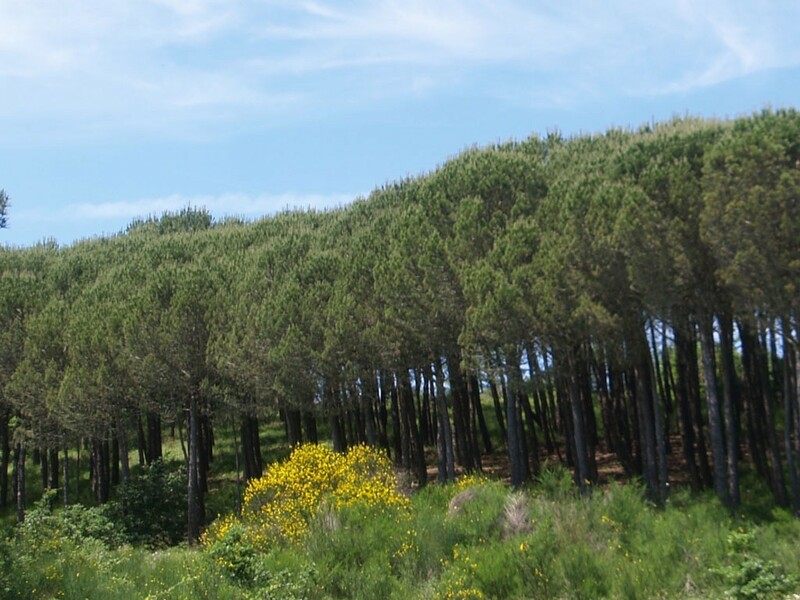 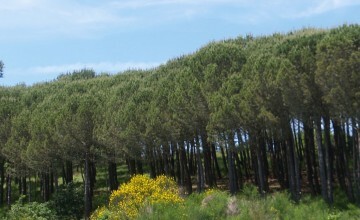 The fenced land measures 2.4 hectares and is divided into a park with 600 pine trees and cypresses, olive grove with 160 trees and a vineyard. 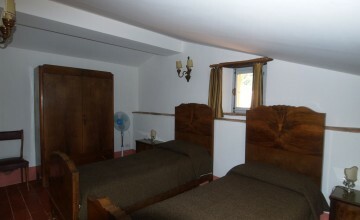 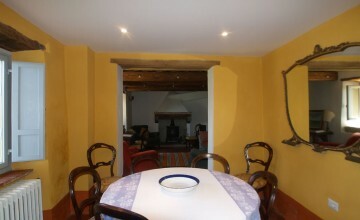 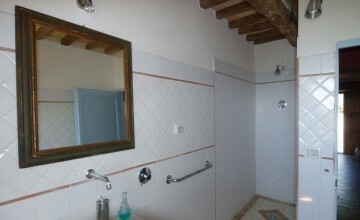 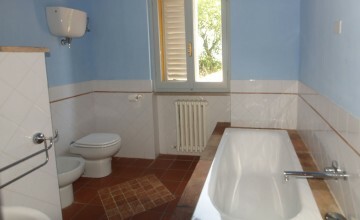 Utilities: electricity, water, LPG, gas heating, telephone, broad band internet and Wi-Fi. 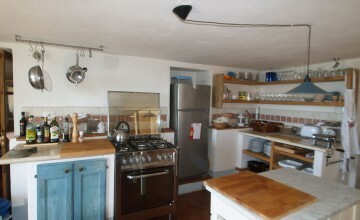 Several places of interest are in easy reach. 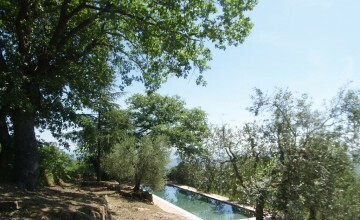 The area is also famous for cultural events of which some have now became worldwide known. 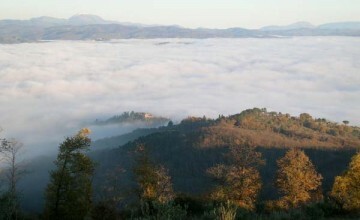 Distances: Città di Castello – 10 km, Cortona – 23 km, Castiglion Fiorentino – 22 km, Arezzo – 35 km, Perugia (with International airport) – 35 km.